Make your own wine rack with Porta timber and timber dowels. Watch how easy it is to make a wine rack that can be customised to complement the style of your home or your preferred number of wine bottles. Our wine rack holds 18 bottles of wine and is the height of a standard coffee table or low side table. 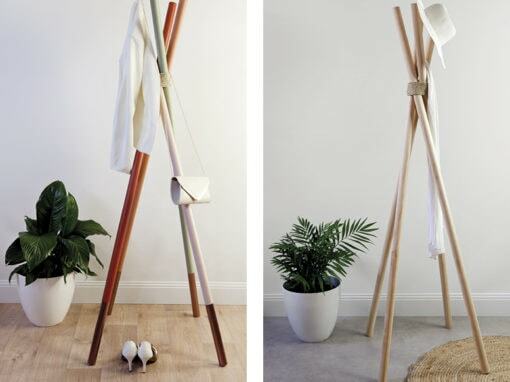 You can change the height of the dowel legs to make it shorter or taller if you prefer. Plus, depending on the number of bottles that you would like your wine rack to hold, you can change the dimensions to make it smaller or larger. Finish your wine rack with the paint, stain or varnish of your choice. Featured timber and mouldings are available from Bunnings and major timber and hardware outlets. Click here to find your nearest stockist. To make your own wine rack, view the step-by-step instructions in the project sheet below.